The influence of John Dewey on Progressive thought in regards to education can not be over estimated. To Dewey society was going to change, whether we like it or not, so schools should endeavor to be at the forefront of that change. While his theories regarding teaching seem to be a mixed bag, his ideas about how schools should try to impact society is dangerous and crystal clear. For him on of the primary purposes of education was to direct the upcoming generation in a way best suited for society as a whole. The directing being done by those most suited to do so. In this book he also references another one of his ideas which he lifts almost directly from Rousseau. That being the creation of a non-theistic religion that acts as a binder and director of the human soul. Both the religion and his idea of schools as agents of change should be “scientific in nature” according to Dewey. 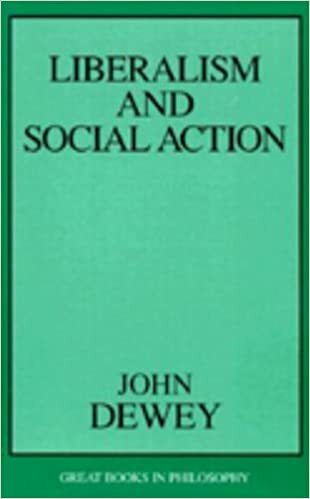 It is hard to surmise the totality of John Dewey’s influence or even to pick one book that represents it all, but this one is likely as close as one can get. It looks at the influence of Classical Liberalism and derides it as insufficient for the modern age. For him it is the new liberalism that was needed now. Dangerous, and ultimately nothing more than a doorway to an all powerful state, Dewey’s ideas defined mid-twentieth century liberalism and hold sway among leftest intellectual elites to this day.